The first book by Wayne Dyer, author of the multimillion-copy bestseller Pulling Your Own Strings and national bestsellers There’s a Spiritual Solution to Every Problem and Wisdom of the Ages, a positive and practical guide to breaking free from the trap of negative thinking and enjoying life to the fullest. 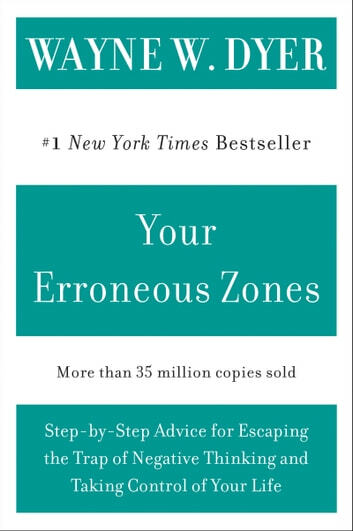 If you're plagued by guilt or worry and find yourself unwittingly falling into the same old self-destructive patterns, then you have "erroneous zones" – whole facets of your approach to life that act as barriers to your success and happiness. Perhaps you believe that you have no control over your feelings and reactions – Dyer shows how you can take charge of yourself and manage how much you will let difficult times and people affect you. Or maybe you spend more time worrying what others think than working on what you want and need – Dyer points the way to true self-reliance. From self-image problems to over-dependence on others, Dyer gives you the tools you need to break free from negative thinking and enjoy life to the fullest. 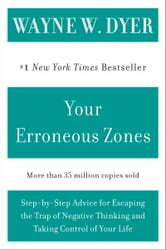 Insightful book that explores one by one areas of self development. Being Free from conditioning and manipulation. I read it more than 20 years ago and now looked at it with different eyes. Excellent book! Wayne Dyer has the uncommon ability to take comolex subjevts and distill them into easily-readable simplicity. This book will cause any reader to look inward for improvement, rather than outward, and those open to positive change will find it in abundance here, Another Dyer classic.